Hand Pieced Quilt Along Almost Done! | sew. quilt. explore. 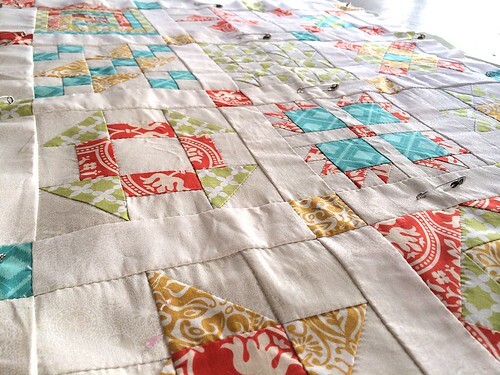 | modern quilting | tutorials: Hand Pieced Quilt Along Almost Done! 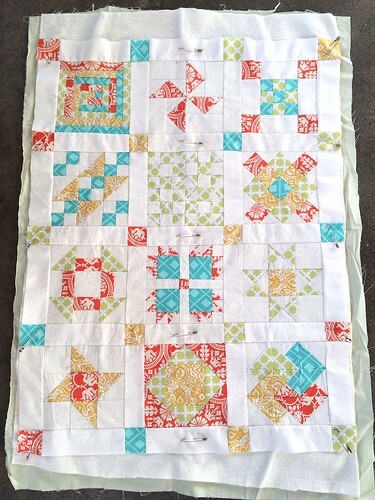 I have been working on my Hand Pieced Quilt Along quilt for about a year now. I have loved working on this project and have done it completely by hand, even the cutting. I wanted to see what it was like to quilt back in the day and about how long it would take. I worked on and off on this quilt but so far have probably put about 70 hours into it. I finished up the top this week and got it basted last night. For the quilting, I am planning on doing a baptist fan type pattern, hand quilted of course. 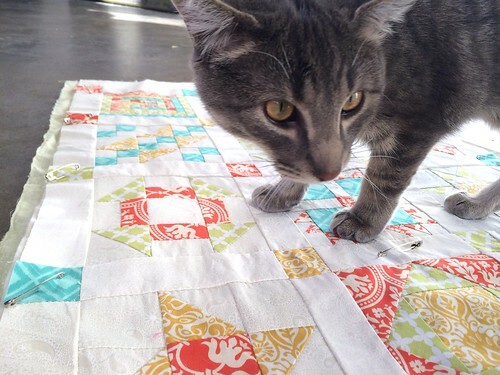 If you are interested in doing this quilt along yourself, you can find the instructions here. I really have enjoyed this project, the blocks were the perfect size to take along, do on the bus, etc. I definitely see more hand pieced items in the future.